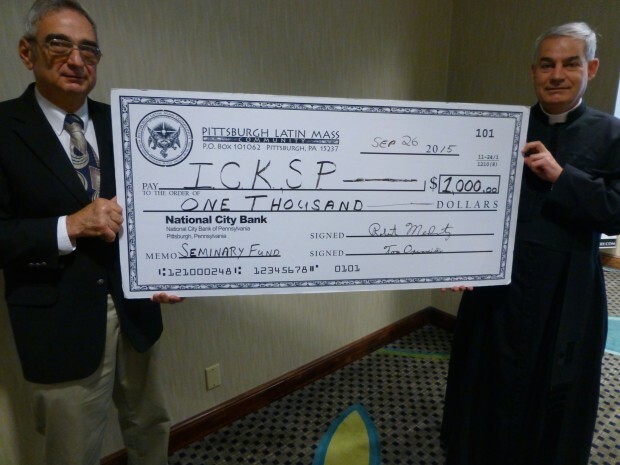 At the 2015 Catholic Identity Conference in Weirton, WV, Emeritus Director, Lou Talarico, presented a $1,000 check on behalf of the PLMC to Canon Moreau of the Institute of Christ the King Sovereign Priest for the support of their seminary. Canon Moreau offered a Solemn High Mass for Ember Friday to open the Conference. The PLMC provided liturgical support for the Mass. 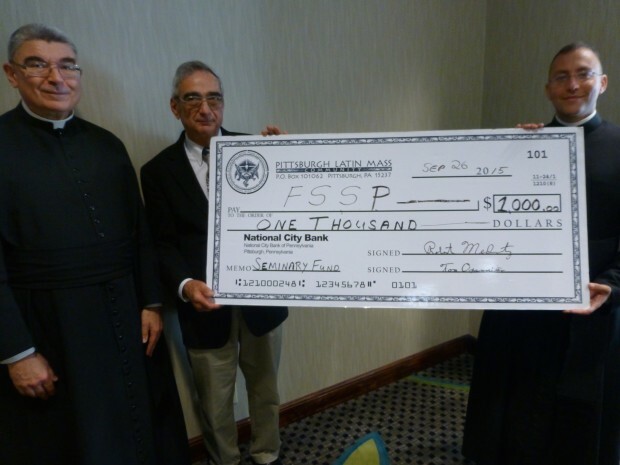 A $1,000 check was also presented to Fr. Gregory Pendergraft, FSSP, to support the seminary of the Priestly Fraternity of Saint Peter. Fr. Pendergraft delivered the keynote address of the Conference at the Saturday evening dinner, as he has done for the past four years.